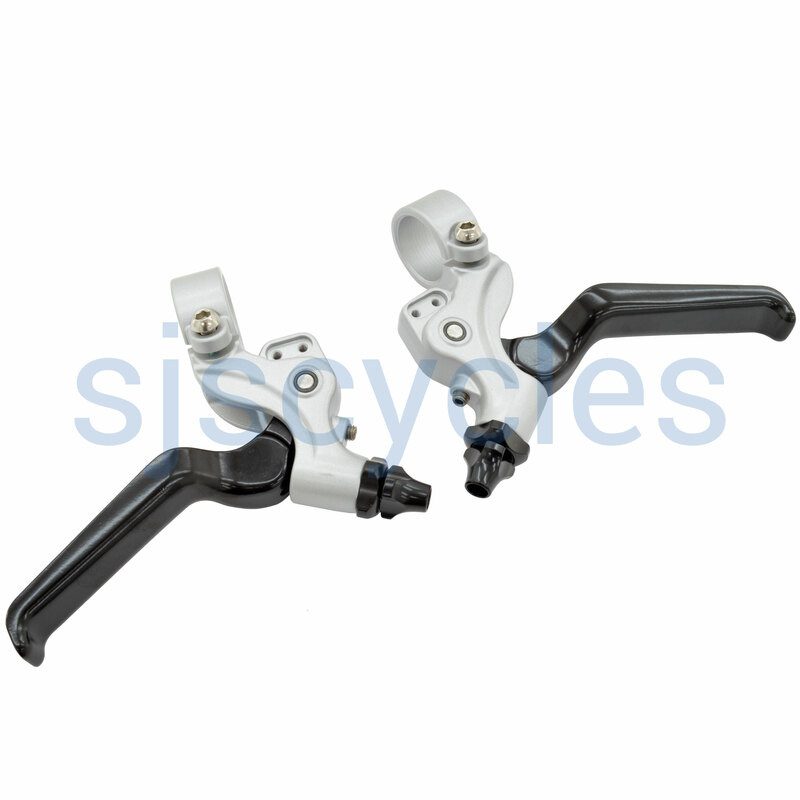 The newest style of Brompton brake lever, with drillings for the new integrated shifter/bell. Originally introduced in 2013, these have now been updated slightly. Suitable for older bikes - greatly improves brake feel, reduces spongey feeling, a brilliant upgrade. Not suitable for pre 2013 cables. Your advice has been 100% spot on. I upgraded my old Brommie with new brakes shifter and cables from SJS and everything is fantastic. The brakes have real sharp bit and can be adjusted to perfection. The shifter is crisp and precise. The whole look of my bars is so much better and these upgrades have transformed the riding experience. SJS have been a complete joy to deal with. Helpful, swift and really great value. My bike is ready for its next 5,000 miles! Thank you everyone there down in St John’s Street. Fabulous just what a bike shop should be. I have an older Brompton with tinny levers and useless 5 speed shifter. Everything else is fab. Your listing mentions that the cable fitting is not compatible with older models. Is it possible to use replacement cables? These look very nice and would really spruce up my old Brommie.